Roseberry Place enjoys a highly prominent and accessible location at the junction of Lower Bristol Road and Windsor Bridge Road on the western side of Bath city centre. 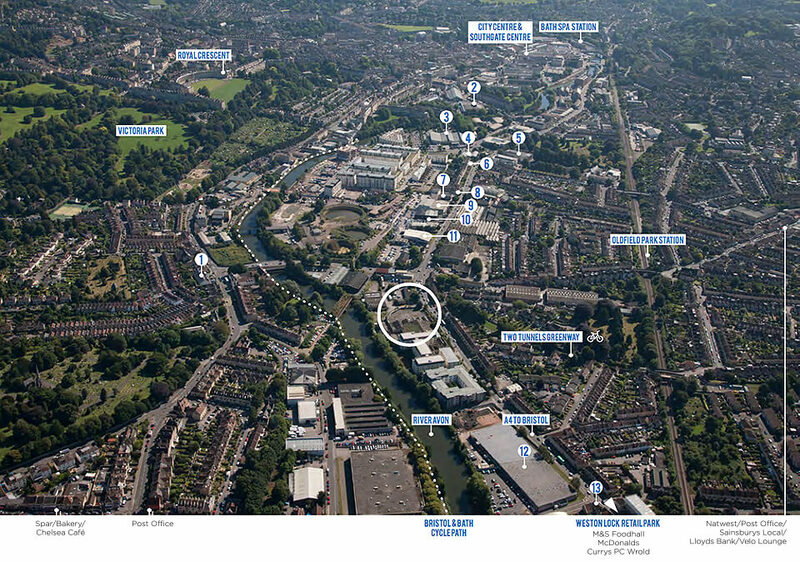 The site which enjoys frontage to the River Avon offers excellent accessibility via a wide range of transport links into Bath city centre and the wider urban area. In addition a range of onsite and nearby retail, café and restaurant facilities combine to provide excellent amenities for site occupiers.